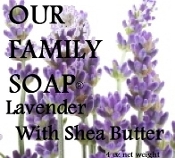 Our classic soap scented with the sweet, smoothing scent of Lavender. Embedded with real Lavender flower buds. Generous 4 oz. bar. 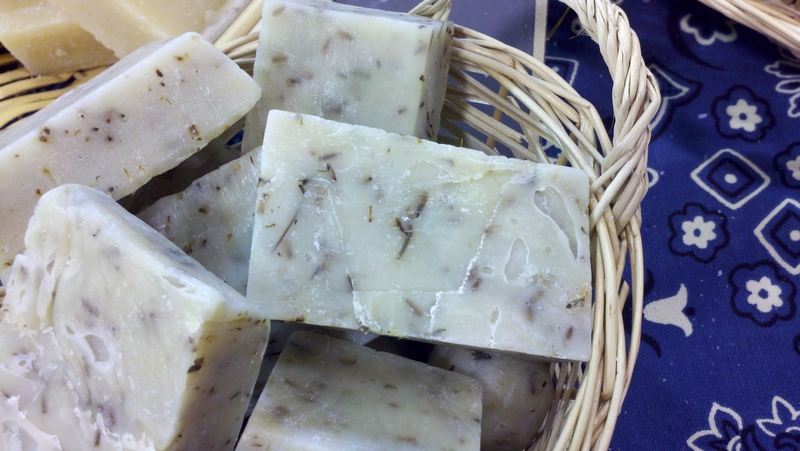 A combination of olive oil, coconut oil, palm oil, sodium hydroxid (lye, neccesary for soap making), combination of lavender EO. Shea Butter and Ground Aquamarine for coloring.